Thanks to its refined luxury shoes, now crafted with innovative eco-friendly materials, Opificio V is today an established brand, both in the domestic market and internationally. Opificio V is the brainchild of Paula Caracciolo and was founded in 2013. The company ideals are perfectly aligned with the modern awareness context, characterised by concern and discussion regarding ethics and respect for the environment. Since its inception, Opificio V has been implementing ideals as concrete actions. Craftmanship of their artisans. Opificio V employs ancient Italian artisanal families that have worked for decades on shoes, and are now open to new and innovative materials such as wood, a vegan leather that derives from grain, or Alcantara. Style. 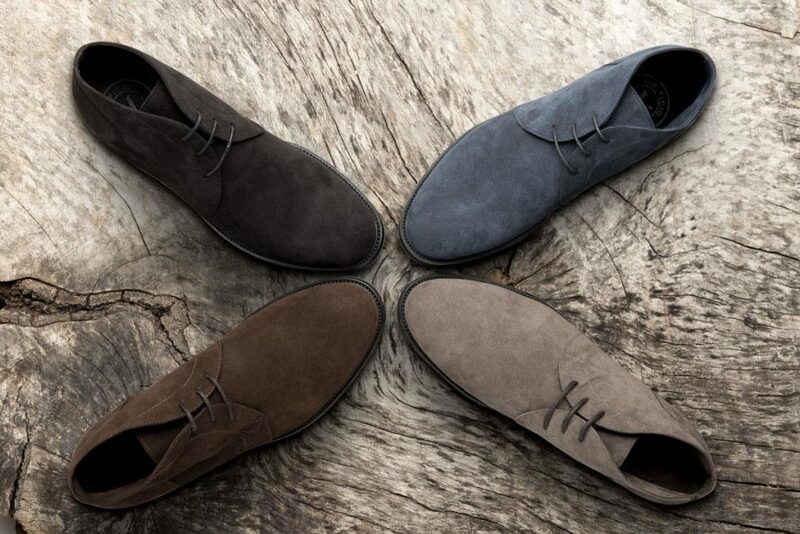 Opificio V artisans create elegant and “timeless” shoes with a classic Italian touch. Ethics. Opificio V tries to be ethic towards humans (Opificio V shoes are made by small artisans in Italy), towards animals (Opificio V materials are totally cruelty-free), and towards our world (Opificio V tries to be as “green” as they can be on anything – such as limiting pollution caused by the leather industry). 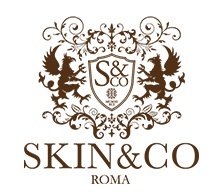 Now, I know there will always be a place for Italian leather in the world, but when I found out about this exceptional brand… I was very impressed with the luxuriousness of their products while being certificated as a vegan brand, having concerns for environmental protection and their work with sustainable materials. I happen to love loafers for all occasions and have several pairs in my wardrobe. 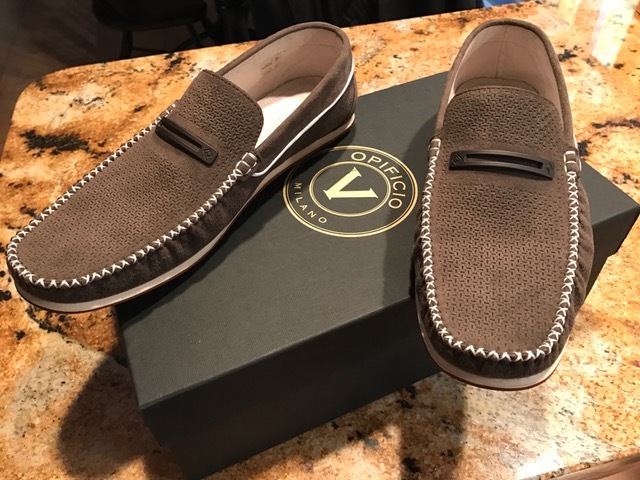 Recently I received a pair of model V72 loafers from Opificio V, and have never been so impressed with a pair before. Yes, loafers are typically known for comfort, but these take comfort up a notch! These shoes are made in Alcantara with a particular construction called “california” that makes them very comfortable and exceptionally flexible. Not only is the comfort impressive, but the unique look and design to the shoe as well as craftsmanship is that of high quality and luxury. 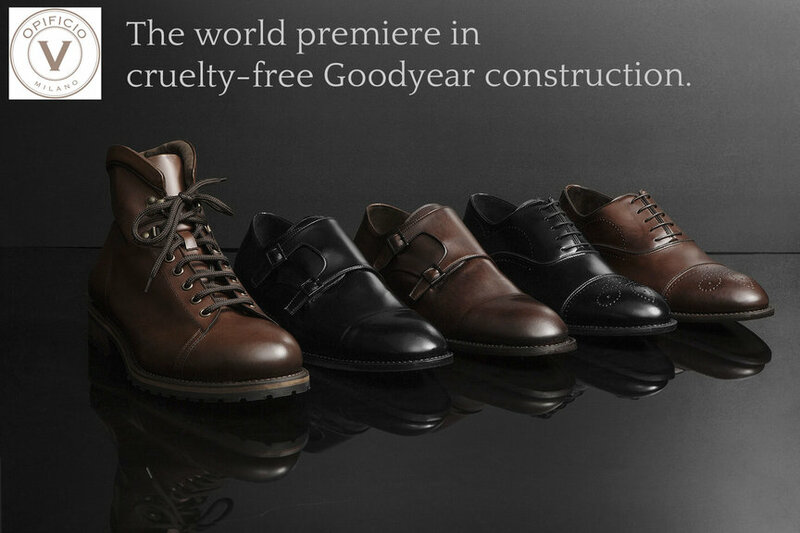 Today, Opificio V Milano introduces the world premiere in cruelty-free Goodyear construction – presenting its first ever men’s collection employing Goodyear welt construction. This November, a new collection of men’s shoes have been added to the Black Label range – a world first in the field of footwear, bringing the Goodyear method to “cruelty-free” shoes. Goodyear welt construction was invented in the late nineteenth century and soon became synonymous with high-class English shoemaking. 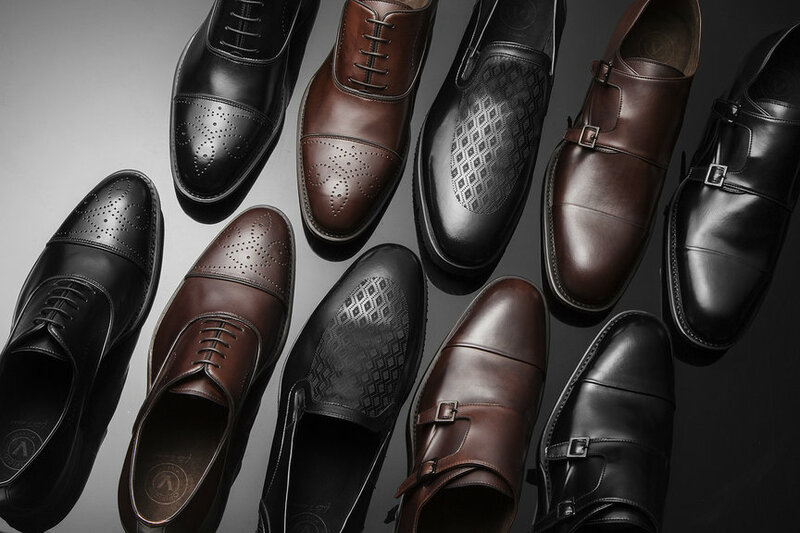 Over time it has become a real “must” in luxury footwear, offering many advantages: robustness, durability, comfort, and a unique design that gives the shoe a distinctive and elegant touch. And today, thanks to Opificio V, it is also sustainable. Once again, the company – renowned for its careful selection of materials, collaborations with exclusively Italian master craftsmen, attention to detail and commitment to the timeless ‘Made in Italy’ ideal – is taking a further step, offering a high-quality collection that emphasises the connection between ethics and aesthetics. Opificio V collections are the result of this heritage. Shoes which are destined to last over the years and to accompany the wearer every day, allowing them to deal with life, step by step. These are Opificio V essential values, ensuring that a shoe is much more than a simple shoe. Visit their website for more info and all current shoes available, including the new Black Label collection with Goodyear welt available online at www.opificiov.com and in some shops.